Boxcon day 1 is all ages, and will feature workshops, a discussion panel with award winning musicians (Jarobi White, Swiss Chris), showcases from top beatboxers, open mic slots (register here) and short films from The Smalls. 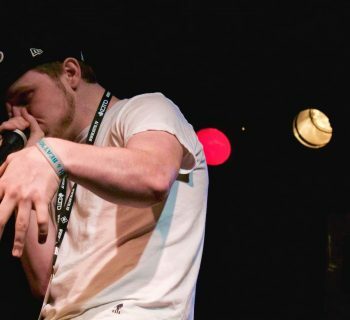 The Grand Final of the 1st American Beatbox Championships takes place on the Saturday evening. This part of the event is open to 18+ only. Boxcon day 2 is all ages and will feature workshops, showcases, open mics, short films, and jams!!!! 10:20 PM Chesney and Jim Wilde present thank you wishes to the sponsors and film crew. The 2010 convention shall feature a star packed line up of music industry professionals, talking together and interacting with the audience. This is an incredible opportunity for those looking for inside knowledge of what it takes to be a professional, working artist. Toni Blackman is an international champion of hip-hop culture, known for the irresistible, contagious energy of her performances and for her alluring female presence. She's all heart, all rhythm, all song, all power, a one-woman revolution of poetry and microphone. An award-winning artist, her steadfast work and commitment to hip-hop led the U.S. Department of State to select her to work as the first ever hip-hop artist to work as an American Cultural Specialist. 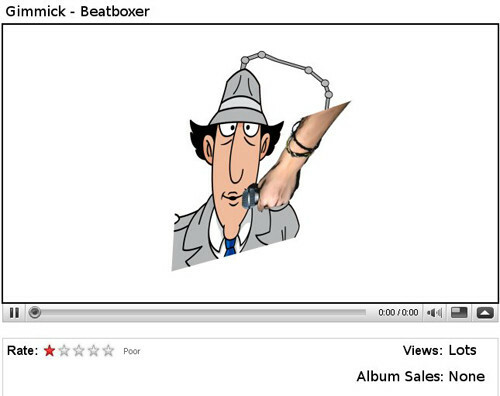 The undisputed "Godfather of Noyze" has re-defined the beat box. A self-defined "vocal percussionist," Rahzel (rhymes with 'gazelle') has perfectly mastered this quintessential hip hop art form and has emerged as a "true virtuoso." To hear him is to be converted. Billboard Magazine proclaims : "Everyone should experience his fascinating rhythms…using just his lips, cheeks, gums, and Adam's apple he (recreates), with amazing accuracy and detail, tracks from the magic mixing desks of Pete Rock…and others." His mockery of instruments/arcade of sounds leaves audiences captivated, wondering "is he for real?" Jarobi White is an American hip hop artist, and one of the four original members of A Tribe Called Quest. He joined the group in the late 1980s as a part-time member. Although he did not rap on the albums, he came up with ideas for songs like "I Left My Wallet In El Segundo". He also contributed to versions of the songs "Push It Along", "Youthful Expression", and "Can I Kick It?". He also appeared in five of the 13 music videos the group filmed. He continues to produce songs with bandmates Phife Dawg and DJ Rasta Root. Coming to New York in 1996, Swiss Chris started working with a local funk band lead by the Jewish James Brown, Milo Z. He also started working with Hip Hop Old School Legends like Chubb Rock, Charlie Brown from the Leaders of the New School, Slick Rick, Grandmaster Caz, and the Rock Steady Crew. He is currently touring and recording as the musical director/drummer for the (8-time Grammy nominee) 3-time Grammy winner and multi-platinum artist John Legend. Kenny Muhammad is one of the most highly regarded beatboxers on the planet. Coming from the second wave of beatboxers in the late 1980's, he needs no introduction to those in the scene. A true beatbox legend. Pioneering routines such as the 'Wind Technique' and 'Trans Beat Box Express' are still the starting block for every new beatboxer, his crisp sounds and rock solid timing are the epitome of the 'Human Beatbox'! Kenny is a co-founder of the World Beatbox Association (WBA). From the streets of Bali to Carnegie Hall, from meditative throat singing to high-energy Hip Hop rhymes, Akim Funk Buddha creates borderless performance art, fusing sounds and movements. An avid world traveler and self-described old-school B-boy MC, he is known for his holistic approach to Hip Hop, drawing from a full spectrum of cultural traditions and artistic disciplines. Rhyming, beat-boxing, mouth and body percussion, story-telling, break-dancing, Mongolian throat-singing, Indonesian monkey chants, body-balancing, martial arts, tap and circus arts are seamlessly blended to create distinctly spiritual yet urban sonic and visual compositions. "You expect a beatboxer to be able to rock the microphone when backing an MC. You don't expect that same human polyrhythm machine to accent female singer/songwriters with such deft subtlety. Or to match wits with jazz musicians. Or to solo provide the music for university dance classes. Or to be the poster boy for Baltimore's most adventurous experimental music festival. But that's exactly what Shodekeh does." - Bret McCabe, The Baltimore City Paper. Adam Matta is a beatboxer and vocal performance artist influenced by artists such as Rahzel, Mike Patton and Meredith Monk. With an arsenal of vocal instrumentals including brass, beats, vocal scratches/turntablism, mechanical and other sound effects, Matta performs hip hop, rock, drum-and-bass, jazz, and Middle Eastern, sometimes all in the same composition. His music has appeared on NPR's Morning Edition, Weekend Edition and All Things Considered, in Benson Lee's documentary "Planet B-Boy" and in "The L Word."